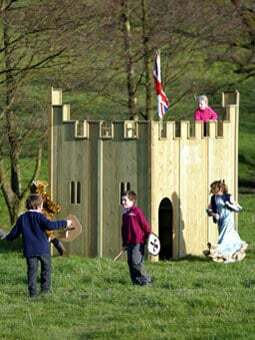 The All Out Play Castle is their Flagship Playhouse. 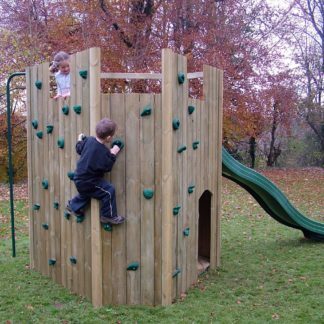 It is the original Adventure Play item and is a firm favourite with adults and children. 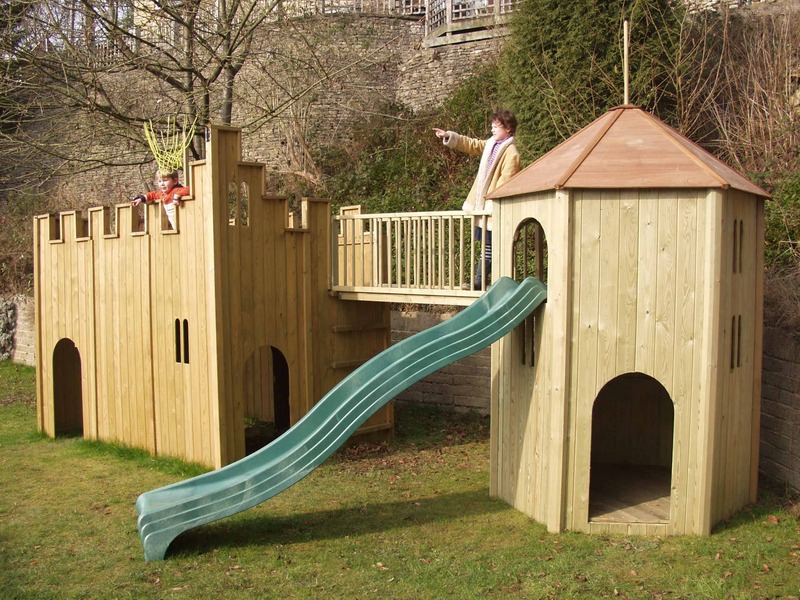 It can be whatever the imagination perceives, a Fairy Palace, a Wild West fort, King Arthur’s castle or a stage for medieval chivalry and pageantry. Inside the imposing crenelated walls is an internal platform reached by external and internal wall mounted steps. There are three arched doors, internal hanging bars and a flag pole. Accessories including a slide can be added. 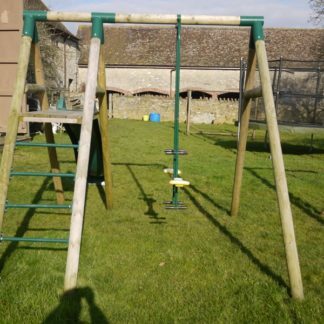 Slide available separately. The All Out Play Castle can be extended by the addition of other playhouses.